Today I present Urban Sherp and Style Carrot. 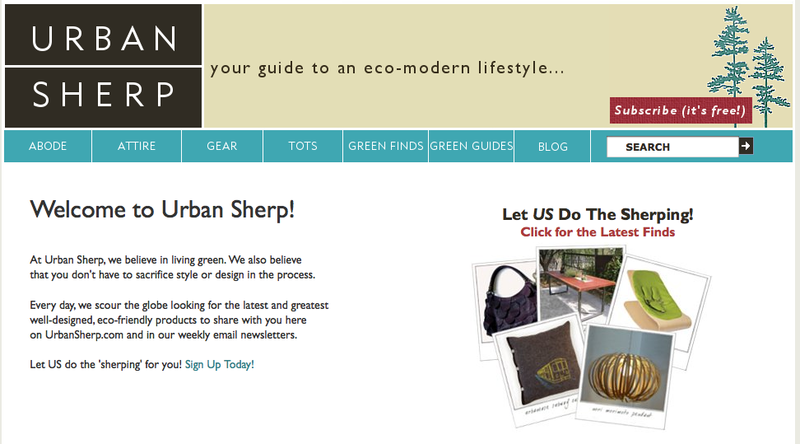 Urban Sherp doesn't focus on Boston-made products or events but they are Cambridge, MA-based and have an eco-focus which, as you probably know, is close to my heart. Their tag line is, "Your Guide to an Eco-Modern Lifestyle." (Love that tag line!) They feature everything from eco-fashion, eco-finds for tots, the newest gadgets to help you "green" your life, eco-decor, and general green tips for green living. 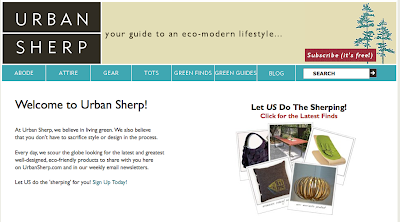 Living an "earth-friendlier" life doesn't have to be an inconvenience and I believe the writers at Urban Sherp totally get that. We hope that one day we’ll no longer have to ask the questions: Is it green? What makes it green? How does this product affect the community? Is it sustainable? How far is it transported? Someday green design will be inherent in all design. Manufacturers, designers and consumers will recognize the value in creating products that tread lightly on our planet and the people who inhabit it. Until then, we’ll keep asking the questions. 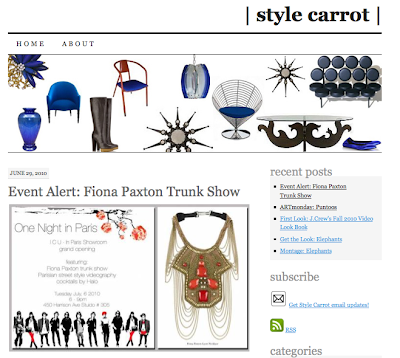 Style Carrot, written by Boston-based fashion journalist Marni Katz, is another hidden gem of a blog. Marni has the inside info on design events happening in and around the city of Boston, terrific entries about up-and-coming Boston-area designers, as well as finds of a more "cross-country" and "global" nature. 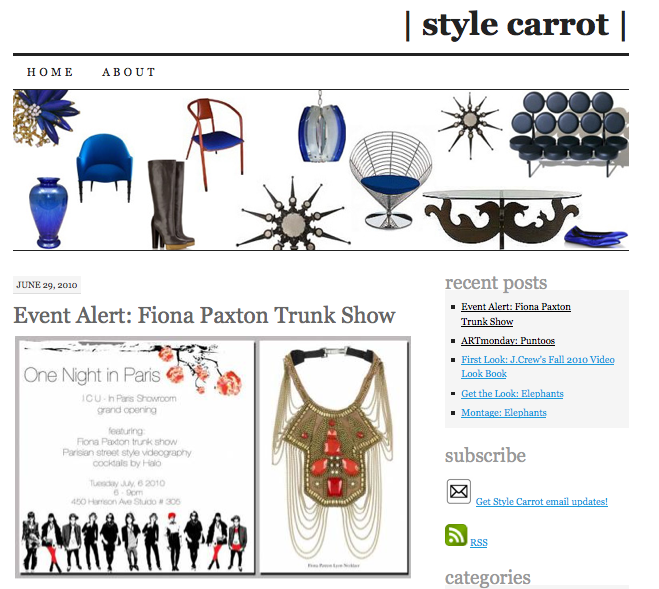 By looking at her design picks and the layout of her blog, it is obvious she has a natural eye for design. i am a freelance writer living in boston, obsessed and affected by the aesthetics of life. i got my professional start in the fashion closet of rolling stone magazine. but the true birth of my passion for combining pictures and text began at age twelve, in the basement of my childhood home in connecticut. there, perched on the modular sofa under a disco ball from the previous decade, i carefully crafted copy to accompany the fashion photos i had my sister snap. i can still see my favorite shot (though the actual image is long gone), of me, in a silky (read, polyester) dress with a swingy skirt (purchased for my cousin’s bat mitvah), sitting prettily at our bamboo bar, champagne glass in hand.